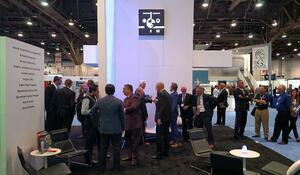 Last week more than 1,100 exhibitors and attendees from all 50 United States and dozens countries walked the floors of the 2017 NBAA-BACE in Las Vegas, Nevada. 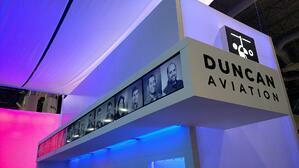 Hundreds of them, aviation professionals, operators, enthusiasts, and students alike, came to the Duncan Aviation booth. 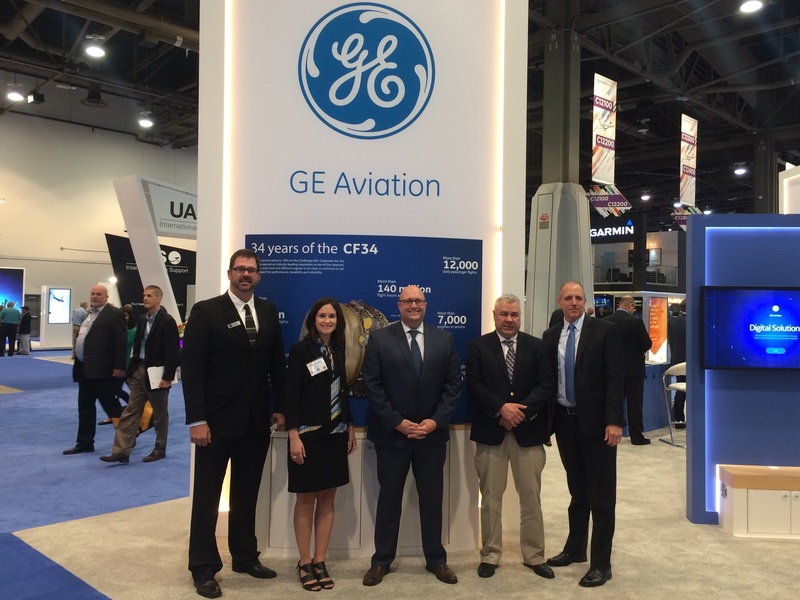 Here's a pictorial recap of our time at 2017 NBAA. 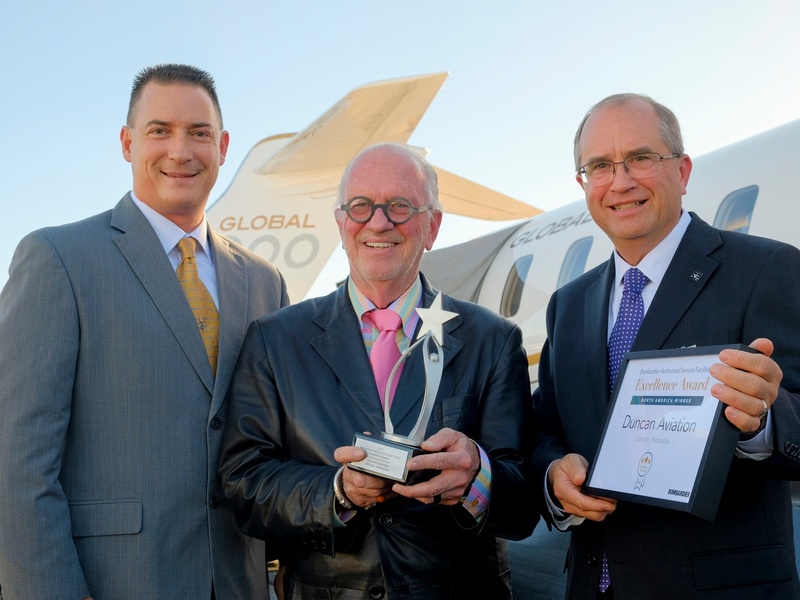 Keith Hickman, Manager, Authorized Service Facilities, Bombardier Business Aircraft, presented the award to Robert Duncan, Chairman Emeritus, and Aaron Hilkemann, President and CEO, Duncan Aviation during a ceremony at NBAA-BACE. Nate Klenke, Duncan Aviation Sales Manager; Elizabeth Bevacqua, GE Services Marketing, Business & General Aviation; Chad Harris, GE Aftermarket Services & Customer Support Leader, Buseinss and General Aviation; Mark Francetic, Duncan Aviation Regional Avionics Sales Manager; Mike Minchow, Duncan Aviation Vice President of Sales. We had fun. Hope you did too. See you next year. Duncan Aviation will have video phones in its NBAA booth to connect visitors with experts who stayed home. Although Duncan Aviation will have about 25 representatives available to visitors at its NBAA-BACE (National Business Aviation Association’s Business Aviation Convention & Exhibition)booth #C9125, there is no doubt that they will be asked about team members who didn’t make the trip. 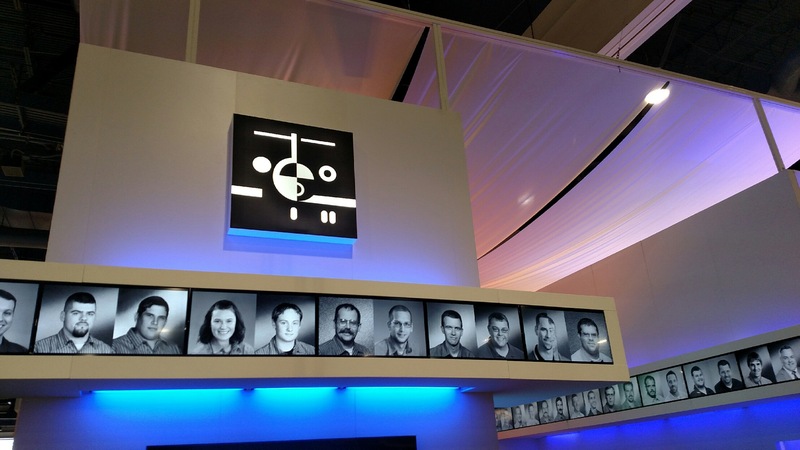 With more than 1,250 team members who develop strong relationships with customers, vendors and partners, it would be impossible for Duncan Aviation to bring everyone with close contacts at the show. To make it easier for these visitors to reach out to team members not at the show, Duncan Aviation will have two video phones in its booth that will be connected to Duncan Aviation’s phone system and ready to provide video calls with experts back home. 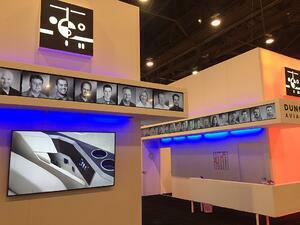 In addition to satisfying this social aspect of the NBAA show, the phones will be available if area experts in the booth are working with other visitors and unable to connect with someone who stops by. For more information, visit Duncan Aviation at booth #C9125 during this year’s NBAA convention from October 10-12, at the Las Vegas Convention Center at the Henderson Executive Airport in Las Vegas, Nevada, or watch for announcements at the Duncan Aviation NBAA-BACE webpage. 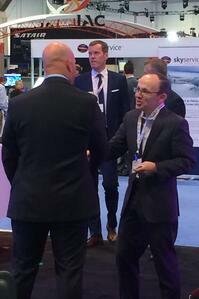 The doors to NBAA 2016 were barely open an hour before there was already a flurry of activity in Duncan Aviation’s booth. Hundreds were on hand as representatives from Rolls-Royce and Duncan Aviation joined in a signing ceremony to officially recognize Duncan Aviation being named to Rolls-Royce’s network of Authorized Service Centers for its CorporateCare ® customers. (L to R) Aaron Hilkemann, Duncan Aviation President, Kimberly Rubush, Rolls-Royce Services Manager, Andrew Robinson, Rolls-Royce Deputy SVP Services—Aerospace, Robert Duncan, Duncan Aviation Chairman Emeritus, Jörn Lindstädt, Rolls-Royce, Head of Aircraft Availability Centre, Business Aviation, Steve Gade, Duncan Aviation VP Marketing & New Business Development, and Tom Burt, Duncan Aviation EVP/COO, BTL Operations. The contract authorizes all of Duncan Aviation’s MRO (maintenance, repair, and overhaul) facilities in Battle Creek, MI, Lincoln, NE, and Provo, UT, and 14 Engine Rapid Response locations to service AE 3007A, BR710 A1/C4/A2, as well as, Tay 611-8/8C engines. For several years, Duncan Aviation has been supporting Rolls-Royce powered aircraft around the country with line maintenance so many of our technicians are already factory trained for line maintenance and borescope inspection. Beginning the first quarter of 2017, Duncan Aviation will begin providing warranty claim processing and on-site parts, along with in-house engine maintenance on-site parts and warranty claim processing for all Gulfstream G500/G550, G400/G450, G300/G350, Bombardier Global Express and Global 5000/6000, Embraer Legacy 600, and 650 operators enrolled on Rolls-Royce Corporatecare. If you are at the 2016 NBAA show in Orlando, Florida, we’d love you to stop by our booth (#3126) and say hi. 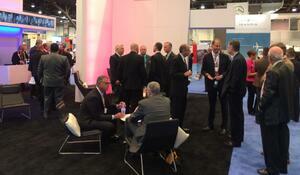 For more Duncan Aviation NBAA announcements, visit www.DuncanAviation.aero/News. 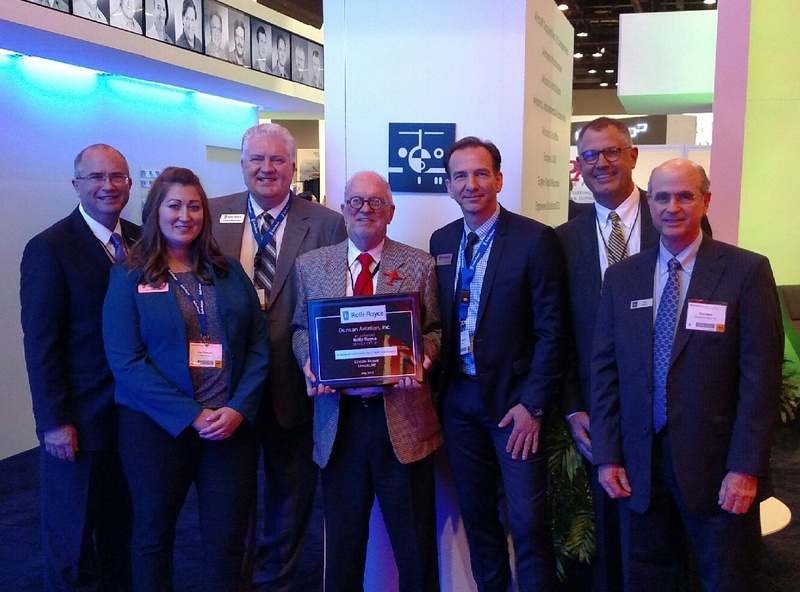 At last year’s NBAA Show, Duncan Aviation and Rockwell Collins announced that they would be collaborating on the CJ3 Fusion Flight Deck upgrade. At this year’s NBAA, the launch aircraft was flown to Orlando to display the future of CJ3 flight. Monday evening, the companies hosted a reception at the Orlando Executive Airport for CJ3 operators who have committed to or are considering the upgrade. The new flight deck provides operators with an ADS-B mandate solution while enhancing their ownership and flying experience. The Pro Line Fusion upgrade replaces the factory-installed portrait displays with larger 14.1-inch landscape touchscreen primary flight displays. The new system includes intuitive, touch-interactive maps, and easy-to-use icons, giving the pilot the ability to control items on the screen through touch. Also, it eliminates the need for Flight Management System (FMS) control display units originally installed in the pedestal. According to the test pilots, who were available to answer questions Monday evening, the aircraft is a joy to fly. The Pro Line Fusion flight deck upgrade has been met with much enthusiasm from CJ3 operators and the early adopters who have committed to the technology and will soon be scheduling their upgrades. By now, almost all business aircraft operators are somewhat familiar with the upcoming NextGen mandates and understand the need to plan for them in conjunction with their next major maintenance event. 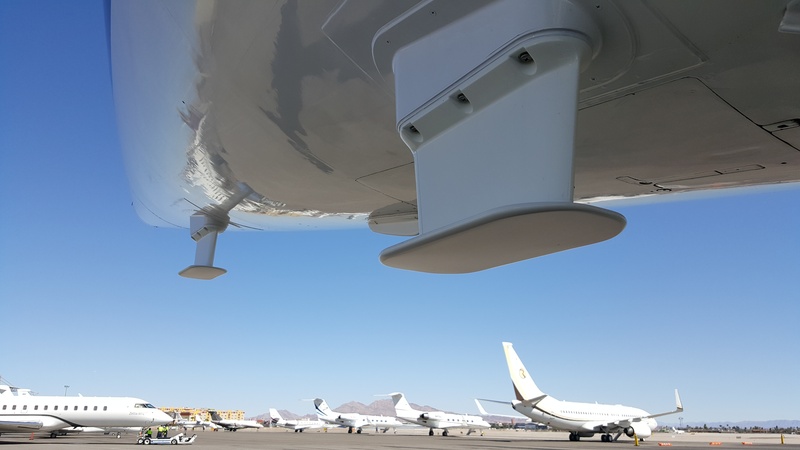 But after talking with operators during the first day of the National Business Aviation Association’s annual convention in Las Vegas, it is safe to say operators still have questions. Does my aircraft have a solution? What is the downtime going to be? Certifying these new mandate solutions is a complicated process that requires collaboration between the equipment manufacturers, engineering teams, avionics installation experts and launch customers. The path to certification can be time-consuming and many solutions are being developed and announced weekly in the changing NextGen landscape. Even when a solution does currently exist for an aircraft, there might be a more integrated and flexible one on the horizon that would be a better choice for an operator. Navigating these choices is difficult, which is why Duncan Aviation has allowed several of our avionics experts to really become immersed in the NextGen world. And in an effort to educate the industry, four of us are here at the NBAA convention to help operators as they research the solution that will be best for them and their aircraft long-term. Stop by anytime to meet us. Or take advantage of our NextGen Expert Hours and ask your most pressing questions to our full attending contingent of avionics gurus. Duncan Aviation believes strongly in developing business aviation by heavily investing in its people and facilities. So it should be no surprise that the company’s new booth (#N4910) for the 2015 National Business Aviation Association’s (NBAA) annual convention and exhibition Nov. 17-19 in Las Vegas will highlight every single one of the company’s 2,253 aviation experts. 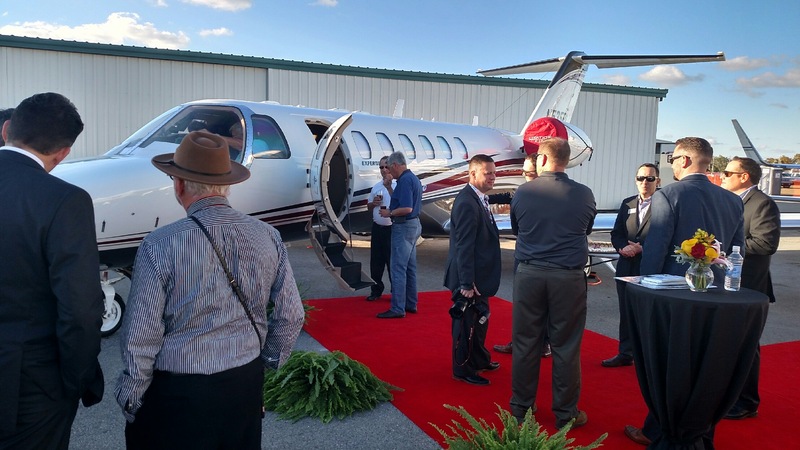 The convention has long been an event where Duncan Aviation representatives catch up with longtime customers, vendors and business partners as well as begin developing relationships with new prospects. And every one of Duncan Aviation’s team members has developed great relationships, contacts and friendships with others throughout business aviation. Realistically, of course, we cannot send everyone to the show. But we can make sure they are present in some form. 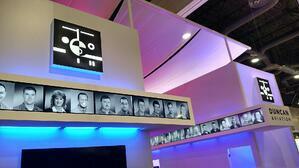 That is why our booth once again highlights each and every team member’s photo scrolling through our booth display. 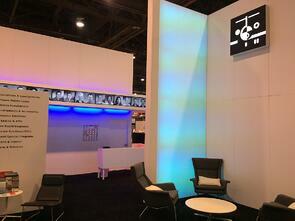 Stop by booth #N4910 and catch a glimpse of all of your Duncan Aviation contacts. While you’re at it, talk to the team members there who will be telling attendees how Duncan Aviation provides every support service a business aircraft operator needs today. 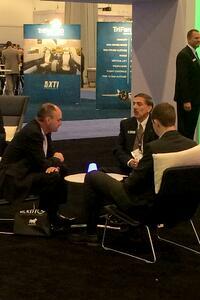 The industry is buzzing with questions about the upcoming mandates for NextGen, namely for ADS-B and FANS 1A. 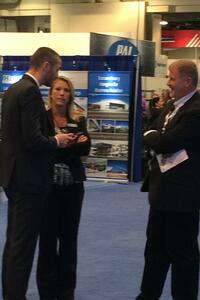 Duncan Aviation NextGen experts attending the NBAA convention in Las Vegas are prepared to answer those questions. After hosting free NextGen seminars throughout 2015, Duncan Aviation avionics representatives know the questions operators are asking and have immersed themselves in the developing world of NextGen avionics so they are able to answer those questions. Chris Christianson. Christianson is an avionics tech rep with Duncan Aviation who has been with the company more than 16 years. He has nose-to-tail knowledge of every avionics system installed and retrofited for today’s business jets from the analog systems of the Cessna 550 to the large, digital and fully integrated systems of the Falcon 7X, the Gulfstream G-450/550 and Global Express. His experience has involved every facet of avionics installation projects from STC development to standard field approval type installations/modifications with deep levels of integration. Mark Francetic. 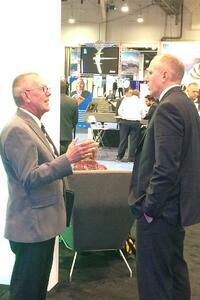 Francetic is Duncan Aviation’s avionics regional sales manager and a Duncan Aviation team member for nearly 20 years. He has an associate’s degree in avionics and holds an A&P license. He has been educating operators about NextGen initiatives for two years at more than 20 different venues, is a member of the Honeywell and Bendix King Dealer Advisory Boards and has helped Duncan Aviation develop business plans for AML STCs on ADS-B and FANS/1A retrofit systems on multiple aircraft. Dennis Kruse. Kruse is an avionics sales representative who has been with Duncan Aviation for 10 years. He spent eight years installing various avionics systems for Duncan Aviation and also worked as an avionics technician in the U.S. Marine Corps. Melissa Raddatz. Raddatz is an avionics sales representative who has been with Duncan Aviation since 2011. She has an associtate’s degree in Aircraft Electonics, an A&P license, and a bachelor’s degree in Communication and Aviation Management. She has nearly three years of experience installing multiple avionics systems and has received formal training on the Falcon 50 and Falcon 50EX, Challenger 300, Troubleshooting and the Primus EPIC EASyII Line Maintenance. She has developed service guides for the Falcons on the mandates. 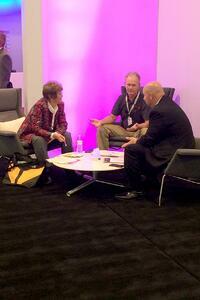 In addition, she has attended several Dealer Advisory Boards for Rockwell Collins and Garmin. Stop by anytime to meet these NextGen experts. Or take advantage of our Expert Hours and ask your most pressing questions to any of our full attending contingent of avionics gurus. 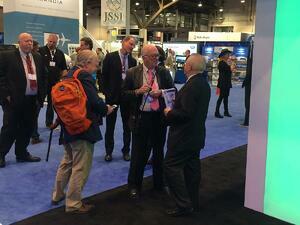 In 1966, NBAA was the first industry association Duncan Aviation joined. 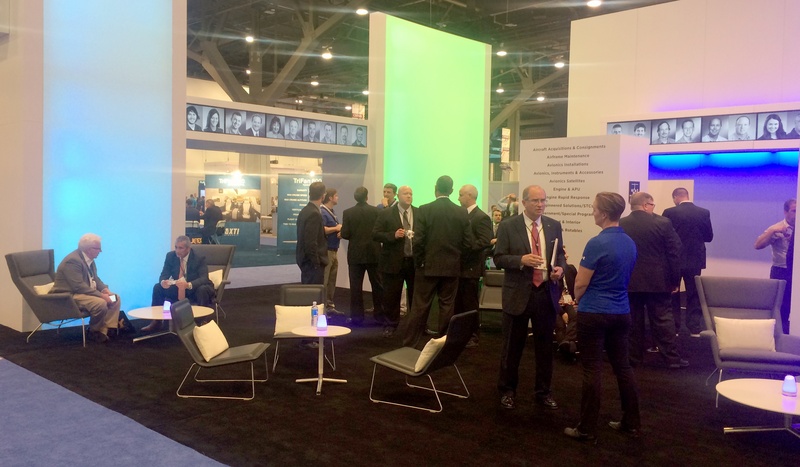 Our first NBAA booth was a purple foam structure in a 20 x 20 space, where 10 team members greeted attendees and explained who Duncan Aviation was. 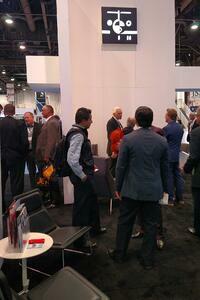 For nearly 49 years, Duncan Aviation has participated in the annual NBAA Convention and Exhibition. 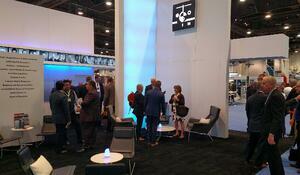 No longer relatively unknown, we are one of the first places to stop for many convention attendees. 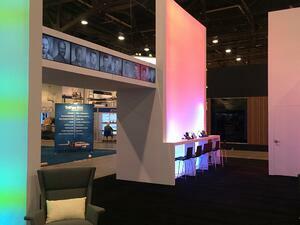 But our participation and influence at NBAA goes well beyond the convention hall. For a total of 21 years, Duncan Aviation has maintained a presence on the NBAA Associate Member Advisory Council (AMAC), beginning with Robert Duncan in 1983. As members, he, Duncan Aviation Chairman Todd Duncan and President Aaron Hilkemann contributed to council discussions and activities to identify and improve communications among membership segments. Each has served or is currently serving in a leadership position. Aaron also served a two-year term as council chairman. 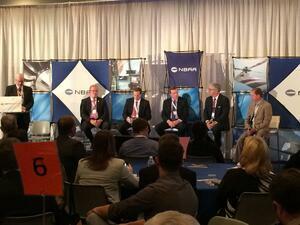 In these roles, each became associate member advisors to the NBAA board. Jeannine Falter, vice president of business development, is a five-year member of the NBAA Corporate Aviation Management Committee (CAMC), which provides programs and tools to help aviation managers meet business objectives. 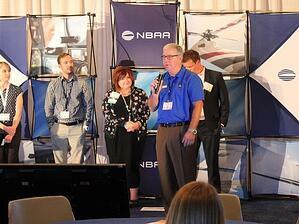 She served two years as co-chair of the committee's annual NBAA Leadership Conference. This leadership conference is the only industry event of its kind, where business aviation managers and executives gather to focus on sharpening leadership and professional skills, networking and sharing ideas. "The NBAA Leadership Conference is a great opportunity for industry leaders to be exposed to ideas and thought-leaders that they otherwise may not have access to," says Jeannine. She was also a current member of the NBAA Maintenance Management Committee, whose purpose is to address the high-level, strategic issues pertinent to maintenance operations. This group is currently working on a long-term project to align the professional standing of aviation technicians with current and future technology by updating the level of education, training and expertise. To find out more about our long histories with other industry alphabet associations, read the Spring 2015 Duncan Debrief. Business aviation association governing boards work to benefit our industry as a whole, bringing about long-term changes and future growth. But oftentimes, it’s in the trenches of the subcommittees and regional events where the day-to-day issues that impact business aviation are addressed. Many of Duncan Aviation’s tech reps, department leaders, regional managers and sales representatives meet many times a year in these industry subcommittees. 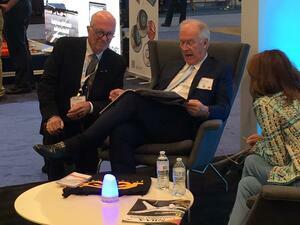 At the recent NBAA Leadership Conference held in Dallas, TX, Robert Duncan, Duncan Aviation’s Chairman Emeritus, was one of nine featured “game changers” delivering inspirational messages via pre-recorded video. "There are so many great people and businesses throughout our industry, and this is one way we can recognize and tell their story – and the story of business aviation," said Jeannine Falter, vice president of business development at Duncan Aviation and a co-chair of the conference, which is planned by NBAA's Corporate Aviation Management Committee. View Robert’s video message below. 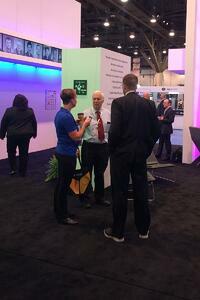 It is day three of NBAA! Have you been to Static? Take a trip to the Orlando Executive Airport and drop by NARA static display–220 and check out this Embraer Legacy 600. 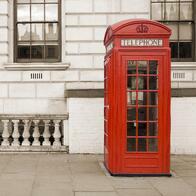 It has been completely refurbished both inside and out with a 96-month inspection and Wi-Fi. Along with its incredible physical transformation, the aircraft boasts a new Aircell GoGo Biz Broadband solution, as well as the Aviator 200 Swift Broadband solution alongside several custom additions, creating an efficient, effective, comfortable business jet. We also paired up with Embraer Executive Jet’s PreFlown division to develop a timelapse video showcasing what it takes to inspect and update an Embraer Legacy 600. To watch the video, visit http://www.duncanaviation.aero/videos/embraer_refurbishment/index.php.